Diet and exercise may be regarded as the sensible, effective way to lose weight but what if the pounds simply stop coming off? When you reach a certain level, it becomes more difficult to continue shedding pounds on a constant basis. That’s where the most effective treadmill workout for weight loss can help. It’s all about interval training. The old saying ‘better the devil you know’ definitely does not apply when it comes to reaching a weight target. Sometimes, you need to get creative and discover different workouts to shift that stubborn padding that just won’t budge. The important thing is not to let yourself get disheartened and slip back into bad old habits. Find your most effective treadmill workout for weight loss and kickstart the body back into the process of losing the love handles. The truth is that there is no singular most effective workout for weight loss. The workout that will help you achieve your ultimate goal is one that’s carefully selected to suit your aims, current weight and running ability. Today I want to take a look at the most effective interval training treadmill fat loss workout FOR YOU – the individual. We’ll come to workout examples a little later. First, I want to you to be honest and identify exactly where you’re at with the diet and exercise program you’re currently performing. Don’t worry; I’m not suggesting a complete re-think! The beauty of personally selecting the most effective treadmill workout for weight loss for you is that it can be easily combined with a plan or program. All you’ll need to do is perform the workout 2-3 times per week. I’m not making any unrealistic promises, here. The most effective treadmill workout for weight loss will not make you lose half a stone in one week. What it will do is help you maintain gradual and continual weight loss through interval training running. The most effective treadmill workout for weight loss is based around interval training. It’s all about boosting the metabolism and getting into the fat burning zone. You want to burn fat and develop lean muscle not just torch calories. That’s the key to weight management. If you seem to diet on a regular basis, there is a way out of the frustrating cycle. Stop yo-yo dieting and start making exercise a permanent part of your life. It’s the way to burn calories and fat and maintain your target weight. Naturally the exact content of a workout depends on your running level. However, all will have one thing in common and that’s interval sections. Combining intense and more moderate bouts of work is better than simply performing steady state cardio on a constant basis. Interval training treadmill fat loss workouts shock the body by demanding bursts of oxygen to be delivered to muscles instantly, which takes extra effort. The body needs to work harder during and after exercise to replace lost energy and repair itself, which in turn boosts the metabolism. Your body draws on its carbohydrate stores first and when those are drained, it uses the fat stores. That’s the beauty of interval training treadmill fat loss workouts. It’s hard to achieve this using another other type of treadmill routine. Hence the title of this blog – the most effective treadmill workout for weight loss. Below, you’ll find a few ideas to get you started. Take a look at the Treadmill Trainer iPod Workouts. 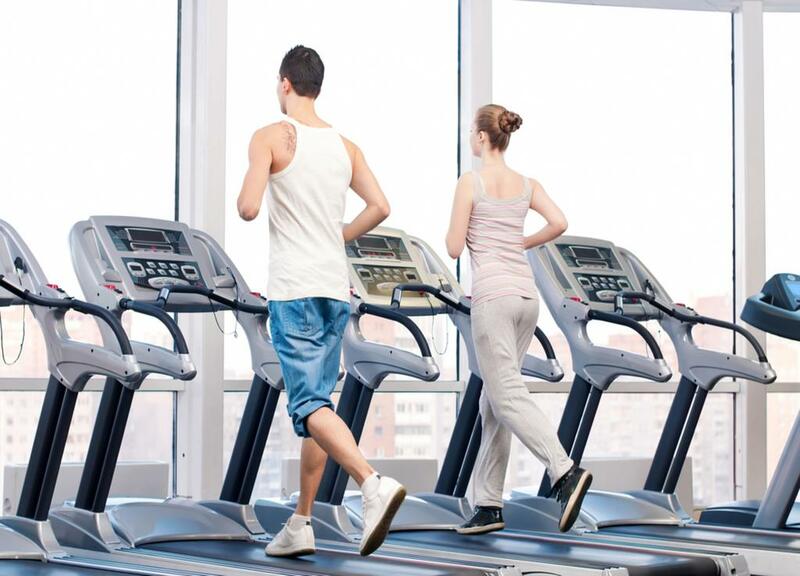 There are treadmill workouts for beginners, intermediate and advanced level runners. Each can be tailored to suit in terms of speed and distance so you get a routine that’s highly personalised. It’s like having a flexible personal trainer without the huge expense! I take care of the music, timings and interval training running tips, you decide when you want to run. All it takes is an MP3 and a pair of running shoes. I take the view that it’s impossible to promise two people of different heights and weights that they’ll both burn a specific number of calories performing the same workout. The idea is to tailor the workout to the individual so that they see a natural and continual progression in terms of both weight loss and cardio fitness. Wondering what’s the most effective treadmill workout for weight loss for beginners? 5-min walk to cool down. Looking for the most effective treadmill workout for weight loss for intermediate level runners? If so, you’ll need to combine high tempo running with more moderately paced running. If you’re able to run 5 miles comfortably without stopping, you’ll be able to manage Treadmill Trainer Volume 3. It’s challenging but achievable and will leave you seriously energised! You’ll be able to go a little longer and stronger than the beginners. I’m talking 45 minutes of fat-burning action here, folks. The best bit is that you only need to perform it twice per week to see the benefits. The beauty of interval training treadmill fat loss workouts is that they’re designed to maximise training time. Even runners can gain unwanted pounds – especially during the winter months! Shedding that lingering Christmas padding needn’t necessarily mean training for a marathon – unless you really want to of course. If you’re at advanced level and have noticed you’re storing fat around your middle, don’t freak out! It happens to the best of us. The body is sneaky and will try and store fat whenever and wherever possible. The most effective treadmill workout for weight loss is a high intensity interval training workout. You do need to be committed, this is no walk in the park! Try Treadmill Trainer Hill Runner Volume 1 for starters and prepare to get stuck into some serious running!